Wendy Smolen's take on some of the most buzzed about tech toys at this year's Toy Fair, held last month in New York. Filtered through her Sandbox Summit lens, Smolen examines what each toy teaches kids and how the tech factored into play. Toyfair is over. You’ve had time to answer all the emails and file the business cards. Now it’s time to make sense of what got buzz, and what you might have missed. My list is highly subjective. Not only do I look for what’s new and fun, I also filter it through my Sandbox Summit lens: What is this toy teaching kids? How is the tech factored into the play? Two of the most talked about tech toys came from Mattel. 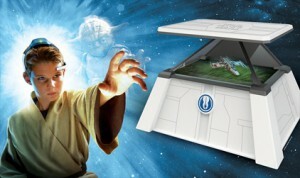 While a lot of the buzz was undoubtedly due to a well-honed PR strategy, the toys themselves were pretty awesome. A collaboration between Mattel and Google Cardboard gave the classic ViewMaster a new look and a new 3D view that combines AR, VR and photospheres. 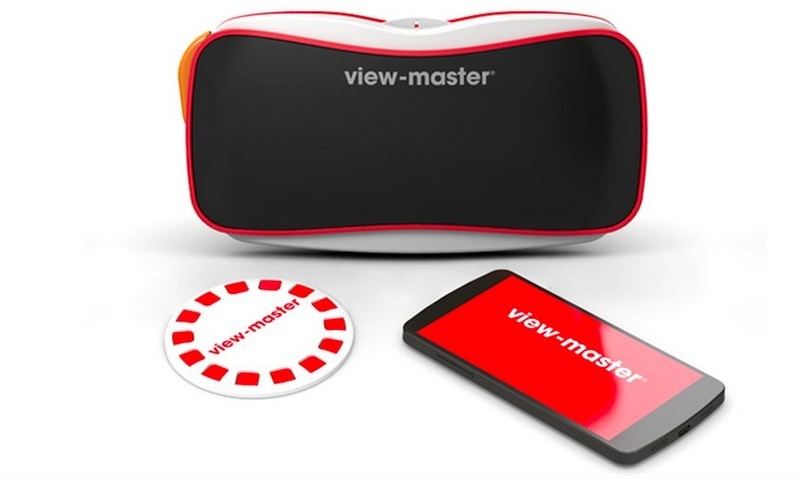 After inserting a smart phone into the new ViewMaster, an app immerses you in a real or fictional world. I personally went from to space to San Francisco without ever leaving the booth. What this will mean for play going forward remains to be seen…literally and figuratively. This year’s hot Barbie uses technology developed by ToyTalk to create a conversational playmate with built-in Wi-Fi and speech recognition. Like Siri, Hello Barbie remembers your likes and actually inserts them into the conversation. Tell her you like pizza, for instance, and later on, she’ll ask if that’s what you want for dinner. At US$75, she’s not cheap, but in true Barbie style, she’s spot on for what’s new and newsworthy this year at Mattel. 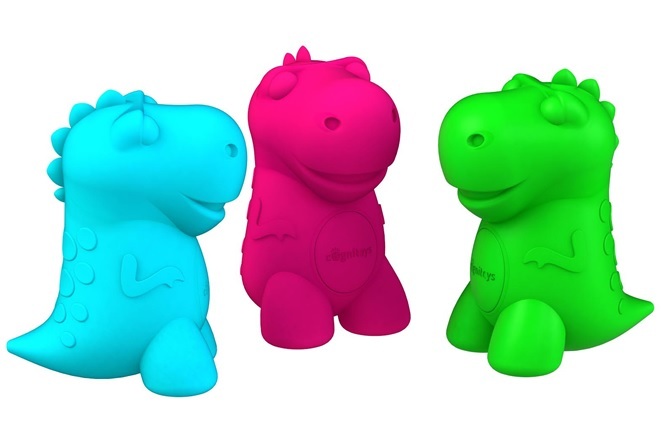 Cogni Toys uses IBM Watson cognitive computing system to inject an encyclopedia full of knowledge into a cute, rubbery dinosaur. 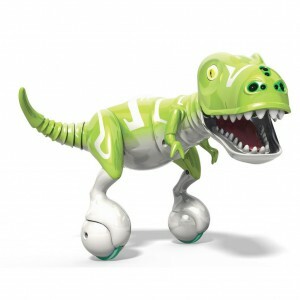 Llke Hello Barbie, the dino uses speech recognition, but the responses are non-scripted, meaning the dino can answer all kinds of questions, tell jokes and stories, and also remember things users say. It connects to the internet using an app (iOS or Android), and is Wi-Fi enabled, so it can operate and update in real time. Lots of toys use electronics; Light Up comes with different type of circuits and an interactive digital tutor so kids can learn what goes into building them. According to founders Josh Chan and Tarun Pondicherry, just as important as teaching kids fundamental skills, is teaching them to become problem solvers. 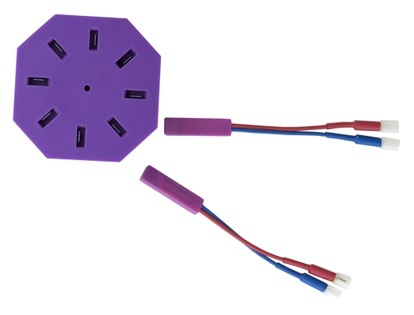 There are currently two kits — a US$49.99 Edison Kit that teaches basic electronics, and a US$99.99 Tesla Kit that teaches basic programming code. 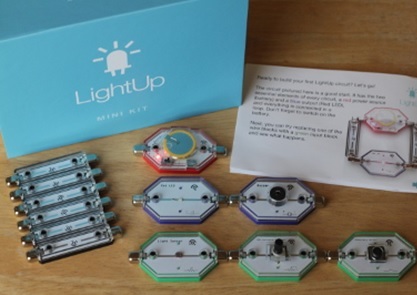 A third kit to teach kids about the Internet of Things is in the works. 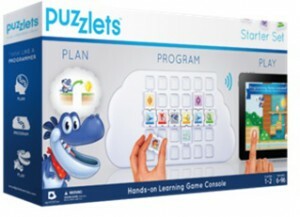 Puzzlets teach the basics of programming by using simple puzzle pieces to let kids control video games. 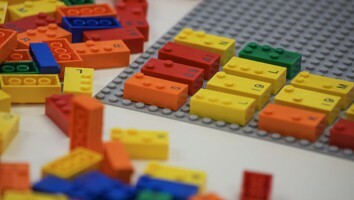 The toy/app combo lets kids plan out their code using plastic command tiles placed on a Play Tray. Cork The Volcano, the first game, taps into logic, sequencing and fine-motor skills through physical interaction and game play. A starter set will include 22 programming Puzzlet pieces, the downloadable game, a rechargeable play tray and USB cable. 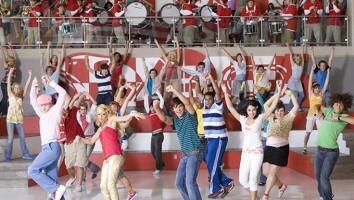 Additional games are planned at Us$20 to US$35 each. A newer version of its original Force Trainer, the II uses mind power to control hologram images as they perform incredible Jedi feats. A wireless headset miraculously senses your brainwaves and reads your level of concentration as you try to control the hologram. The technology and the game are just mind blowing! Coloring out of the lines takes on new meaning with this interactive coloring book that ties into an app, uses augmented reality, and lets kids bring their drawings to life. 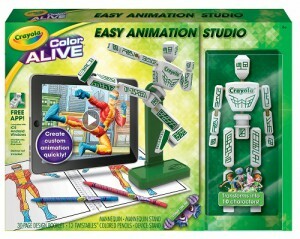 The system comes with characters and backgrounds to color, colored pencils and a possible mannequin. After kids create character, they open the free app and take pictures of the mannequin in different poses. 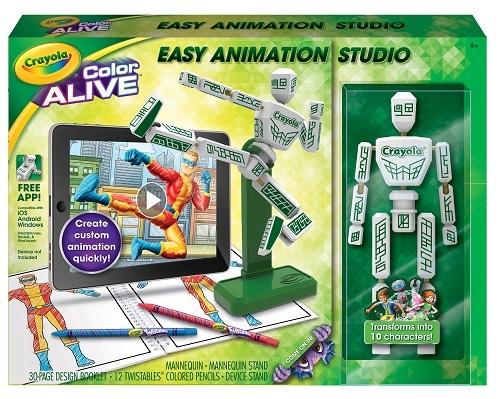 The app uses Smooth Action Technology to bring animate the character off the page. 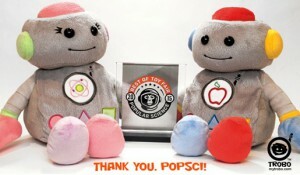 Trobo is cuddly, app-connected robot that’s wirelessly connected to iPads or iPhones and reads kids STEM-related stories. To make the learning more personal, kids can put their own names in the stories. The five interactive stories, found in a free iOS app, come from crowd-sourced contests and cover bees, gravity, lightning, telling time and money. Alice Brooks and Bettina Chen, two Stanford friends entered the toy business because they believed that many girls’ toys lacked what boys’ toys taught: development of spatial skills, hands-on problem solving, and confidence with technology. The result was a DIY dollhouse that combined building and circuits. Now the rPower add-on Bluetooth hub lets kids program their Roominate sets’ electronic accessories using a phone or tablet. RPower, is one of six new products planned for this year, but it will also work with all existing Roominate sets. 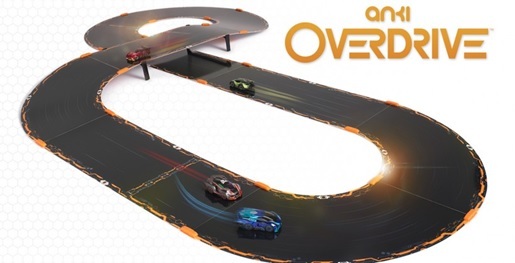 Anki OverDrive combines video game combat racing with real cars and a real track using smartphone technology. The racers are 3-inch-long cars and the modular track pieces, which can be configured in endless ways, use special ink and optics technologies to embed information that the cars scan 500 times per second to understand their position and precisely maneuver around the track. 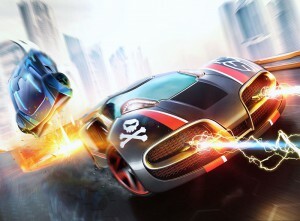 Overdrive also gives players the ability compete using iOS against Android. Look for more toys, tech and trends at Sandbox Summit@MIT on March 23 and 24. Register at sandboxsummit.org/events. Tell me which toys caught your attention at wendy@sandboxsummit.org.